Wait, it was still making them? Sony is retiring its line of handheld cassette recorders, with the last shipments going out early next year, it has been reported this weekend. 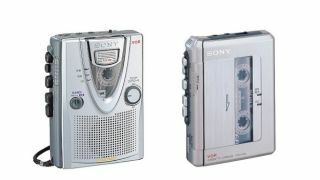 Despite ceasing production of its world-changing Walkman cassette players a couple of years ago, the Japanese giant has continued to manufacturer recording devices. However, Japanese site My Navi (translated) is reporting that the current batch of TCM-400, TCM-410 and TCM-450 devices will be the last ever produced by the company. The recording devices had endured longer than the popular line of players as they're an ideal tool for journalists and students, but it looks like they'll be relying on smartphone voice memo apps from now on. Those still hoping for a taste of retro musical goodness, My Navi's report claimed that Sony will continue to make the CD/Cassette Boombox machines. Sony has not yet officially commented on the report.